Boot thoughts of Botox. Say “no” to anti-aging facial surgery. 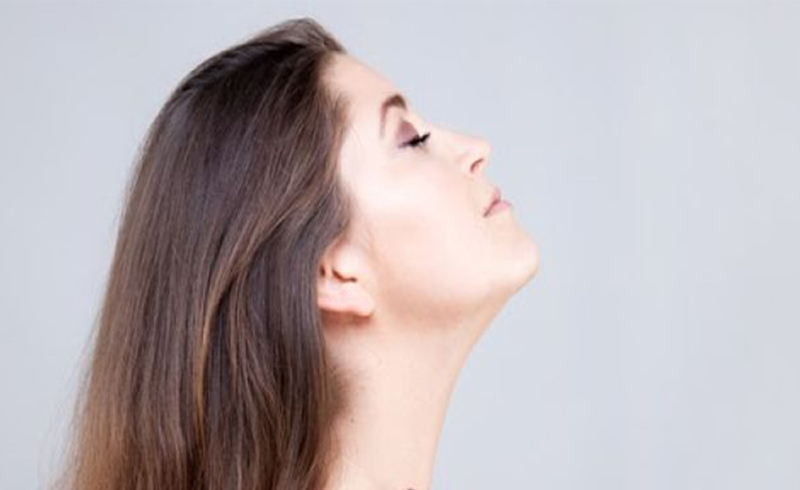 Here are 5 reasons to try facial yoga poses to tone muscles in the jaw, mouth, eyes, and more! Watch the three videos below to learn techniques for decreasing crows feet, tightening the neck, and other facial yoga exercises. From creams and serums to injections and surgeries, there are plenty of anti-aging strategies to maintain a youthful look. The problem is that these methods often use chemicals or surgical procedures to get results. Facial yoga is as natural as it gets—no who-knows-what ingredients or hours under a laser or scalpel. You might be surprised at how much tension you hold in your face and neck. Facial yoga teaches you to become more aware of those muscles so you can relax them anytime you feel tightness creeping up. Need whole-body relaxation? Try Evening Yoga for Relaxation. 3. It may help reduce wrinkles. Some wrinkles come with age. Some come because we’re constantly tensing muscles in the face, like those around the eyes or mouth. Facial yoga builds awareness so you can release the unhealthy tension that’s carving crows’ feet and other wrinkles. For more anti-aging action, read 4 Anti-Aging Foods That Taste Good. 4. It may promote collagen production. The muscle activity might boost collagen production, keeping the skin younger looking, according to one dermatologist who recommends the exercises . To learn more about getting beautiful skin naturally, check out Want Radiant Skin? You Have to Read This. 5. It’s cheaper than medical intervention. Whether you follow facial yoga videos from YouTube or take a facial yoga class (yes, there are classes), it will be less expensive than repeated visits to a dermatologist’s office or the purchase of fancy anti-aging creams. Ready to Try Facial Yoga? Tilt your head toward the ceiling. Press the tip of the tongue to the roof of the mouth and swallow at the same time. Then tilt your head slightly to the right, and repeat. Then tilt to the left, and repeat. Do at least one additional set. Inhale through the nose. As you exhale, open the mouth widely and extend the tongue outward. Stretch the tongue toward the chin. Relax and repeat at least 3 times. Now that wasn’t so hard—was it? Plan to do facial yoga poses for at least 3-5 minutes a day; some experts say the best results come from doing these anti-aging exercises for up to 20 minutes a day, most days of the week.